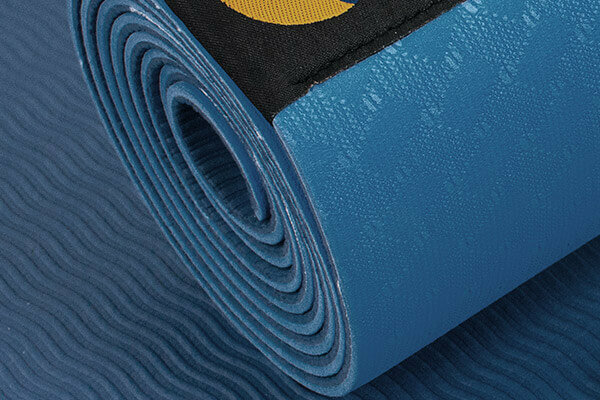 This extremely lightweight Sticky Travel Yoga Mat by Yogamasti is made from high grade TPE, a sustainable manmade material which is lightweight, biodegradable and free from latex, PVC and Phthalates. The properties of this material, along with its 'closed cell' construction and the surface texture, offer fantastic grip. It also provides a firm support and foundation for yoga postures and has great cushioning for comfort. 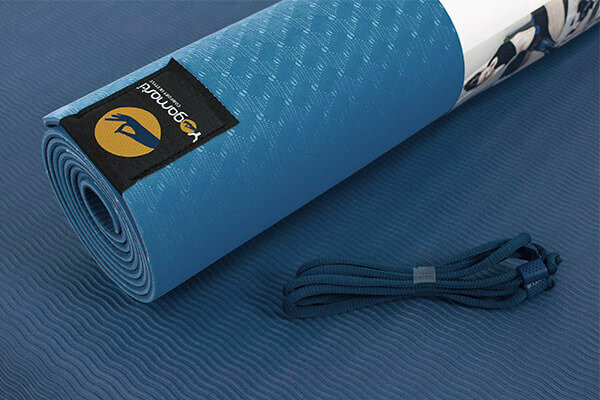 The Y Mat is non-slip so it will stay in position on the floor. Because it is lightweight it is perfect for taking on yoga holidays and to yoga retreats, and is also easy to carry to and from your yoga class. A great mat for most styles of yoga, (but not recommended for a 'heavy' dynamic practice - for example an Ashtanga Vinyasa practice). Each surface in contrasting colours of Sky and Navy Blue. To clean, wipe the mat with a damp cloth dipped in a solution of warm water and gentle liquid detergent or washing up liquid. 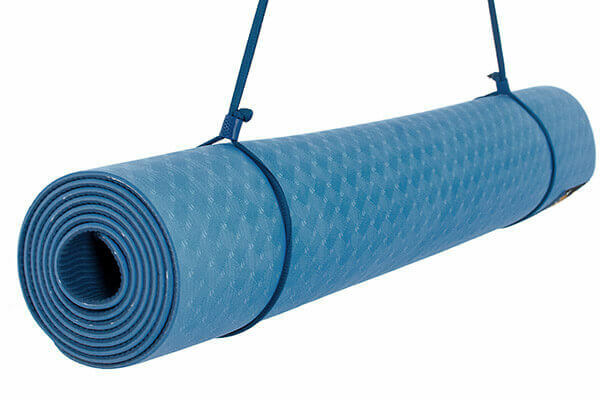 We strongly recommend that you hang your mat to dry thoroughly before using it again, rolling it or storing it. I bought this as it was recommended as a travel yoga mat. It's eco friendly, plus it's lightweight and compact. Not used much yet but I'm sure it will be fine. Delivery was prompt and the mat was well packed for posting.